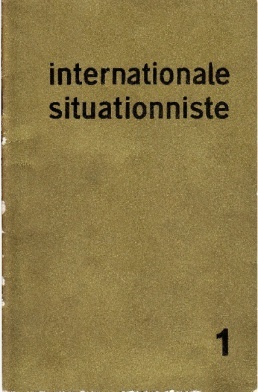 Internationale situationniste 1, Jun 1958, Log. 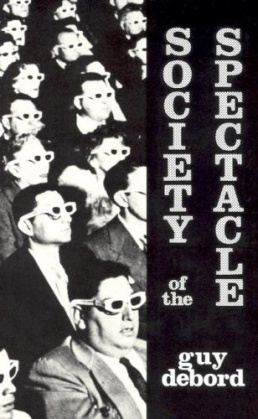 Guy Debord, The Society of Spectacle, 1967–, Log. Ken Knabb (ed. 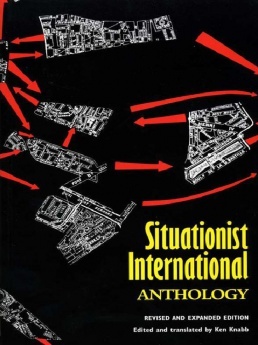 ), Situationist International Anthology, 1981/2006, Log, EPUB, HTML. Mikkel Bolt Rasmussen, Jakob Jakobsen (eds. 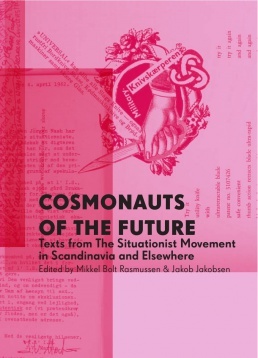 ), Cosmonauts of the Future: Texts from the Situationist Movement in Scandinavia and Elsewhere, 2015, Log, PDF. Internationale Situationniste. Réédition d’articles (Supplement a 4 Millions de Jeunes Travailleurs), Paris: Les Amis de 4 millions de jeunes travailleurs, , 44 pp. Society of the Spectacle, trans. Ken Knabb, 2002; 2005. On the Passage of a few People through a Rather Brief Moment in Time: The Situationist International 1956-1972, documentary, 1989, 22 min. Tom McDonough, "Unrepresentable Enemies: On the Legacy of Guy Debord and the Situationist International", Afterall 28, Autumn/Winter 2011, pp 42-55.
en Oxford DA, Tate, Wikipedia. it Treccani. cr Šuvaković. 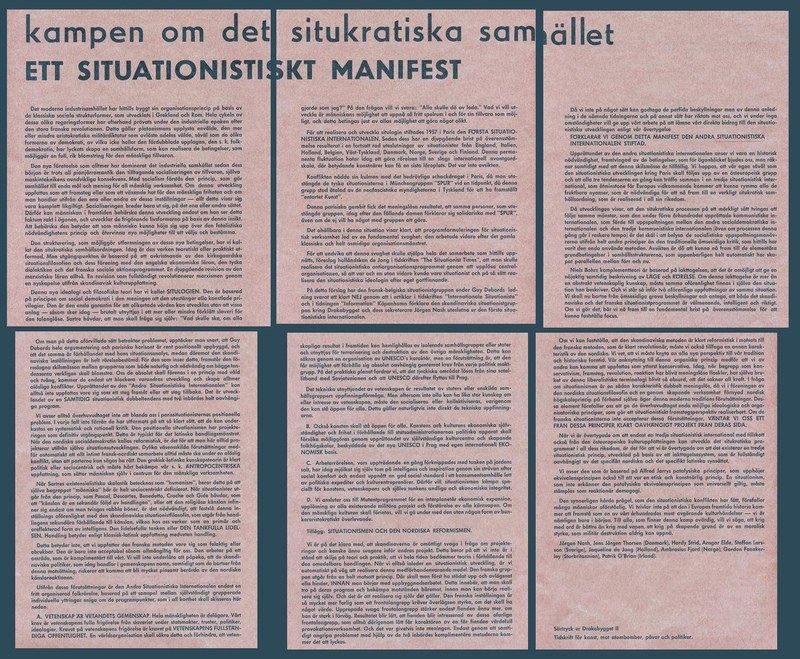 Scandinavian Situationism, timeline and text archive by Jakob Jakobsen. Situationister 1957-71 Drakabygget, Skånska Konstmuseum, Lund/Sweden, 1971. Catalogue text. On the Passage of a Few People through a Rather Brief Moment in Time: The Situationist International, 1957-1972, Musée National d’Art Modern Centre Georges Pompidou, Paris, 21 Feb-9 Apr 1989; Institute of Contemporary Arts, London, 23 Jun-13 Aug 1989; Institute of Contemporary Art, Boston, 20 Oct 1989-7 Jan 1990. Catalogue published. Exh. review: Smith (NY Times). An Army of Liars: Situationists in Scandinavia, Kunsthall Oslo, 25 Nov 2016-29 Jan 2017. First major exhibition to examine the legacy of the Situationist movement in the region. Archive material. The World We Must Leave: An Idea of Revolution by Jakob Jakobsen and Mikkel Bolt Rasmussen, Kunsthal Aarhus, 19 Nov 2010-9 Jan 2011; Kunsthall Oslo, 25 Nov 2016-29 Jan 2017. Works and documents from the SI and 3 short films. Exhibition guides: Aarhus, Oslo. Jacqueline De Jong: The Situationist Times, 1962-1967, exhibition, Boo-Hurray, New York, 9-25 May 2012. An Army of Liars: Situationists in Scandinavia, Kunsthall Oslo, Oslo, 25 Nov 2016-29 Jan 2017. The first major exhibition to examine the legacy of the Situationist movement across Scandinavia. Review: Norton (Kunstkritikk, NO). Die Welt als Labyrint, MAMCO, Geneva, 28 Feb-6 May 2018. An exhibition on Letterism, Letterist International, Second Letterist International, Movement for an Imaginist Bauhaus, Experimental Laboratory of Alba, London Psychogeographical Association, Situationist International, Situationist Times, and SPUR. Curated by John Armleder, Gérard Berreby, Paul Bernard, Lionel Bovier, Alexandra Catana Tucknott, Julien Fronsacq, and Mai-Thu Perret. Jacqueline De Jong & The Situationist Times: Same Player Shoots Again!, exhibition, Torpedo/PUB, Oslo, 11 May-2 Sep 2018; Konsthall Malmö, 15 Sep 2018-13 Jan 2019; Museum Jorn, Silkeborg, Denmark, 31 Aug-1 Dec 2019. Curated by Ellef Prestsæter in collaboration with Torpedo and Jacqueline de Jong. Review: Henriksen (Kunstkritikk). The Most Dangerous Game: The Situationist International en route for May '68, Haus der Kulturen der Welt, Berlin, 27 Sep-10 Dec 2018. First reconstruction of the unfinished project Bibliothèque situationniste de Silkeborg outlined by Debord with Asger Jorn. Devised by Wolfgang Scheppe in collaboration with Roberto Ohrt and Eleonora Sovrani. Two-volume book published. Exh. review: Henriksen (Kunstkritikk). This page was last modified on 12 February 2019, at 15:56. This page has been accessed 29,739 times.